Unlike other products that promise things and then fall short of expectations, by design, this bag – even in its prototype stage – was being tested by athletes in various situations. One particularly memorable (and totally extra) demo video I saw was having someone dive into a pool with the bag (in backpack mode) filled with air – from a proper competition diving platform – just to demonstrate how solid the seams/connections were. 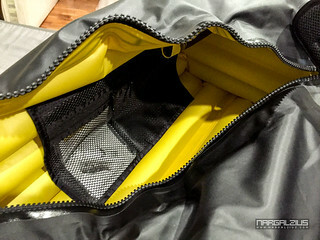 Apart from being able to use it as a backpack, it also has a removable and inflatable shockproof inner lining system (that entire yellow thing you can see in the picture. If you look closely enough, you can also see the inflation valve which gives it its shockproof characteristics at the expense of total volume capacity. Of course, inflation is optional. The zipper system (rails/etc) is yuuuge. 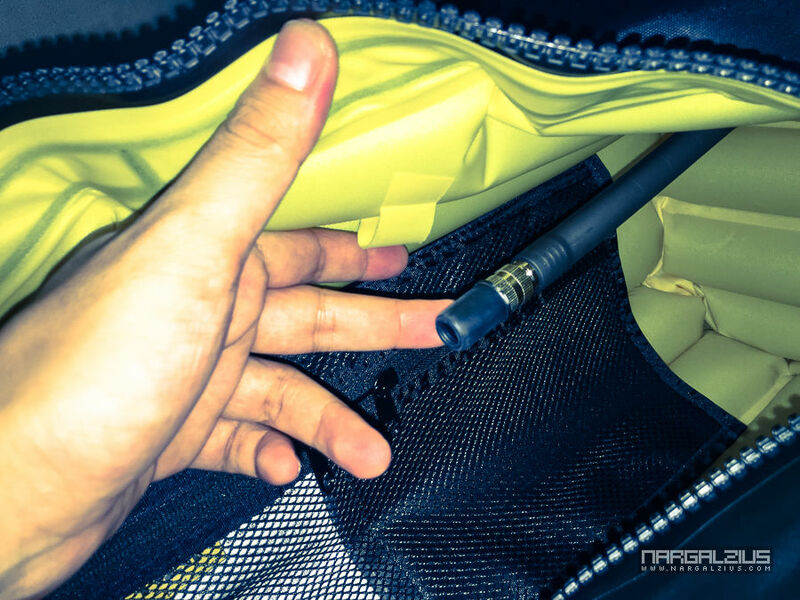 The zipper pull, if you can’t figure it out by looking at it – was meant to be “hooked” onto by your fingers – so vertical part goes through your fingers, and the horizontal part locks behind them. Which is great because the type of hardware used to achieve proper sealing requires a bit of mechanical advantage to pull on the zipper in either direction (and to make sure it’s fully zipped when closed). I just added the paracord loops for extra leverage. There’s really nothing much more to talk about as far as its function as a bag goes: it can hold 45L (less if you inflate the internal lining) worth of stuff – and is waterproof. But it being airtight was always something that I wanted to confirm for myself. I mean sure I’ve seen the videos – but it’s still different to actually know for sure. So I sealed it up, put something heavy on top of it. And if that didn’t convince you – let me do one better: I took it to the beach and treated it as a flotation device. If that doesn’t convince you, I don’t know what will. 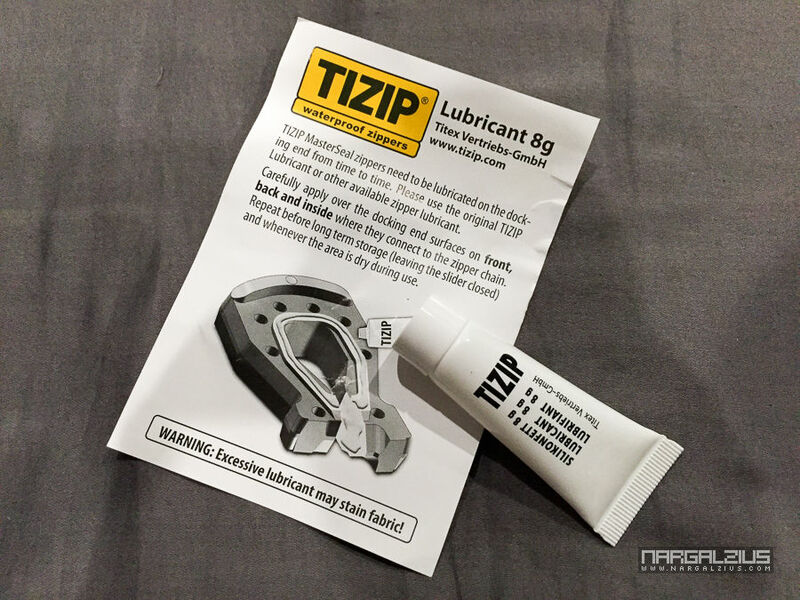 And to think to this day I never had to use the sealing lubricant that came with it – which just goes to show how good the quality of this bag is. While the bag seems to be packed with “uncommon” features – they all contribute to a very straightforward (and frankly, quite useful) experience. None of the features get in the way but are there when you need them. I honestly can’t think of anything to complain about. Even the aesthetics are nice (but of course, that’s subjective) I like the minimalism and them having just enough accents to not make it look boring. They give off a tactical vibe to them. And it ages so well! I don’t know if it’s just because I’m good at maintaining my stuff, or if it’s because of the material used, but that picture with the paracord was VERY recent – the material just makes it look as clean and crisp as it was when it was brand new. 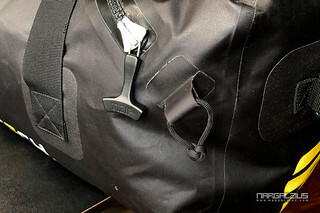 Ever since I received it, this bag has been my go to bag whenever I need to pack/lug a lot of stuff. 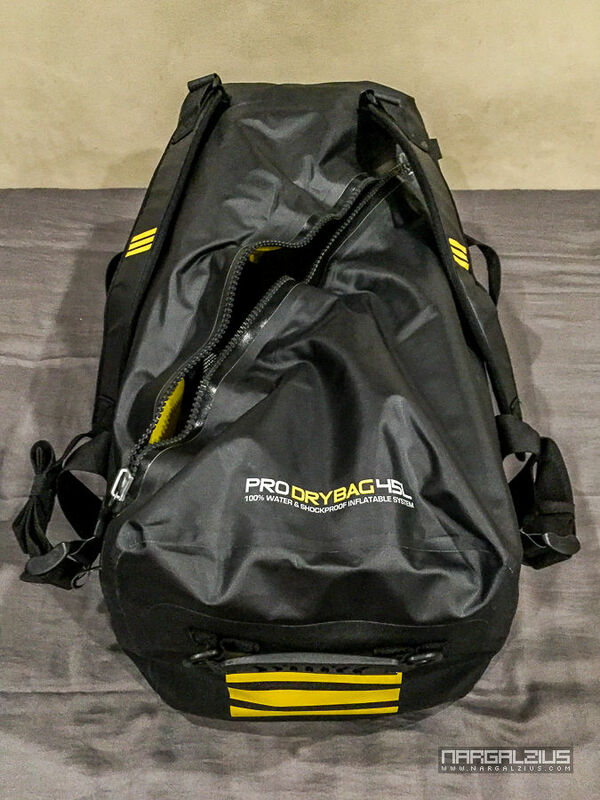 The only times I don’t use it is when I travel on my bike (in which I have purpose built bags for that) or if I need to get on a plane (where I use proper luggage bags) But other than that, out of town, the beach, a performance, I just use this bag and it has served me very well. 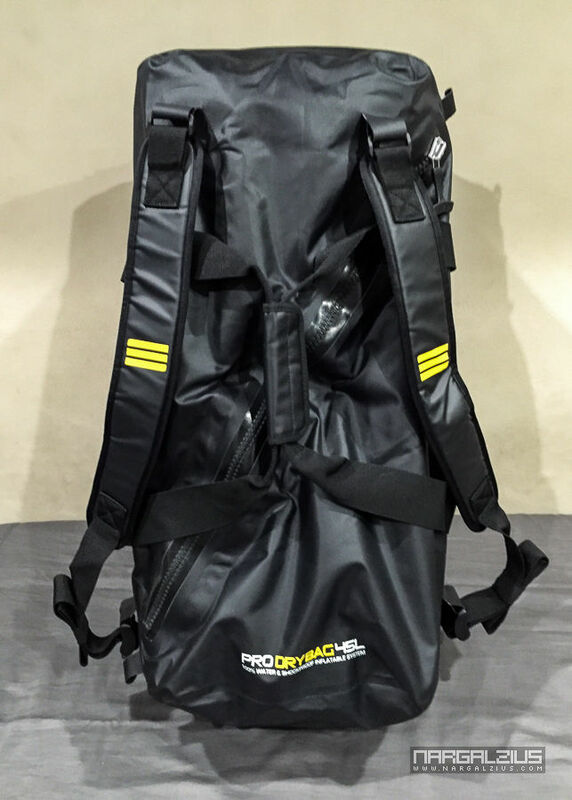 I was very tempted to back the v2.0 since it had some added features – but decided against it for practical reasons – I did however back their 95L tote bag and internal divider that was backwards compatible with the model I own. 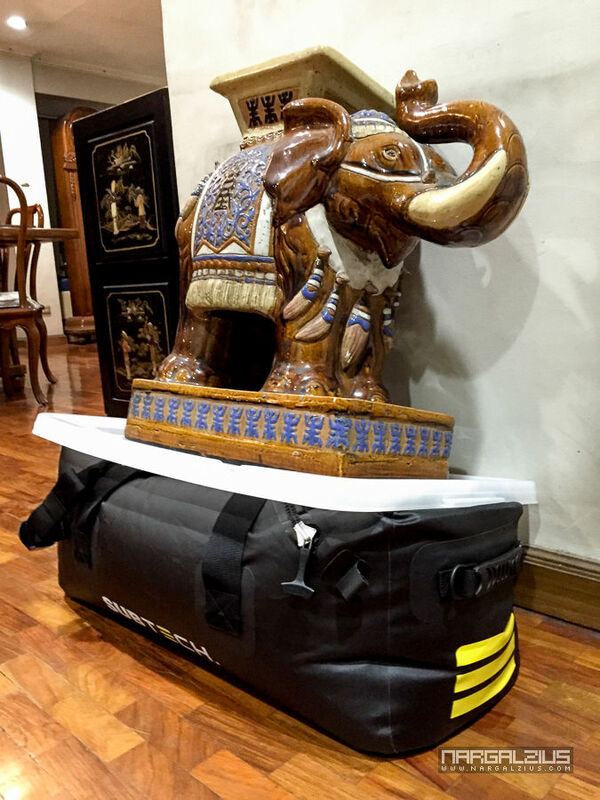 If there’s anything to be learned from this post is that Subtech products are the bomb. They may be pricey – but considering their durability and performance, I’d put them over most “commercially known” brands – because their products, marketing or not, will definitely stand on their own merits – and when you get to use the – you’ll get to confirm this yourself.